Giving up dairy produce? Allergic to cow’s milk? Can’t tolerate eggs? This course will teach you how to bake delicious vegan cakes, biscuits and pastry. The day begins with coffee at 10.00am, followed by a demonstration. 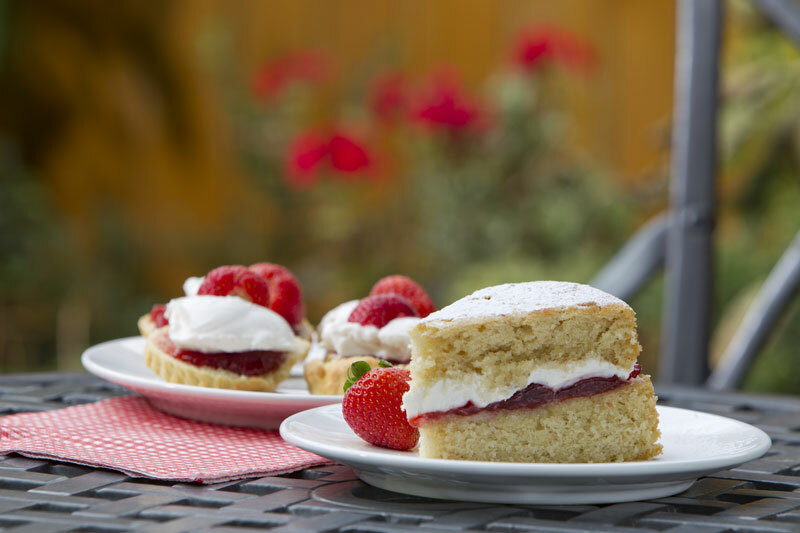 Then you will learn how to bake a perfect sponge cake and some simple short crust pastry. Next a light lunch will then be served. In the afternoon you make some yummy biscuits. Finally there will be time to experiment with a variety of flavours of cake and explore a variety of different toppings. At the end you will sit down to sample the cakes baked, with a tea or coffee of your choice. "Loved having the chance to try different cake recipes and being shown how to make them well. I’ve never made a decent vegan cake before today!" "I feel like I’ve learnt so much about vegan baking. I enjoyed working in a small comfortable group." "Excellent tutor, friendly atmosphere and being in the company of other vegans."